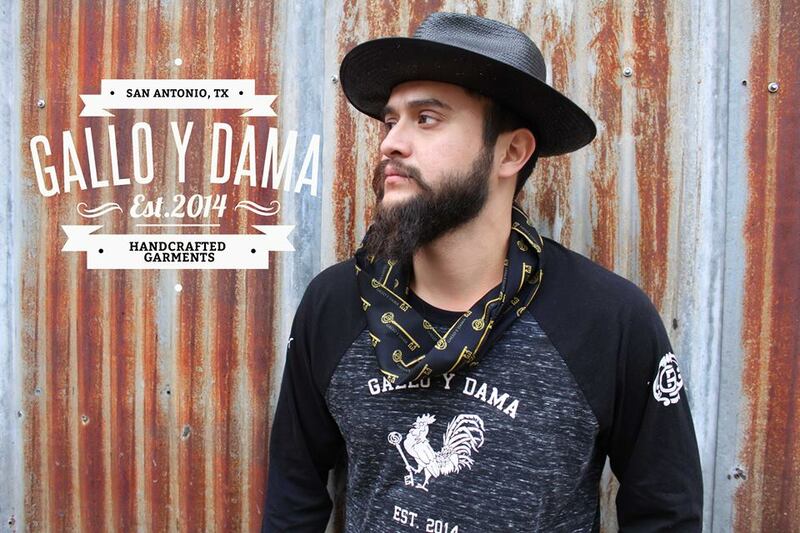 Gallo y Dama is ready for this fall season and is releasing the GD Henley long sleeve T-shirt paired with the Gallo y Dama Gold Key Signature silk scarf. GD is a brand designed and inspired by the San Antonio, TX culture and is a representation of ones faith, bold dreams and unique style. We are loving real men rock their beards this cold season along with their hats. Blue Star was the perfect backdrop for our photo and a great healthy beard was possible by the benefits of Wayfarer’s Fine Grooming beard oils and mustache waxs, made locally in San Antonio, TX.